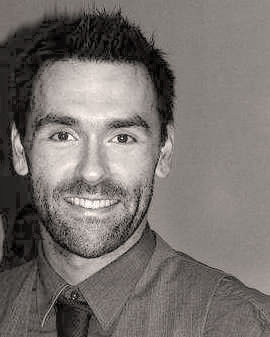 Jason Henning will join us as a joint NSF AAPF and KICP Fellow after completing his degree at the University of Colorado at Boulder, where he helped design and build the receiver and its detectors for the SPTpol CMB polarization experiment. As a KICP Fellow Jason will continue his work with SPT, lending his experience to the design of SPT-3G as well as placing new constraints on cosmological parameters using CMB polarization measurements. Silvia Galli took her PhD between the University of Rome 'Sapienza' and the APC laboratory in Paris. She is now finishing her first postdoc at the IAP in Paris. 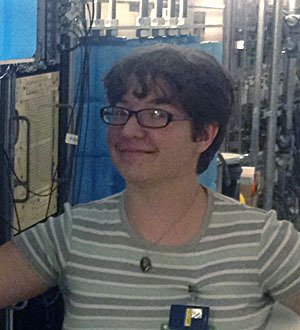 In the last couple of years, Silvia mainly worked on developing the likelihood code and determining cosmological parameters for the Planck satellite. She is also interested in using cosmological probes, such as the CMB or clusters of galaxies, to constrain fundamental physics, such as the variation of fundamental constants or the annihilation of dark matter particles. Dan Scolnic will join the KICP as a Fellow after receiving his degree from Johns Hopkins University. Dan's research focuses on observations of Type Ia supernovae to measure dark energy and other major components of the Universe. Dan has worked extensively on the Pan-STARRs science survey. 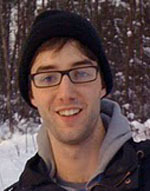 At the KICP, Dan will continue his research as part of the Dark Energy Survey. KICP astrophysicists Dan Hooper and Tim Linden are co-authors on a recent study which makes a compelling case that the observed gamma-ray excess coming from the central area of our galaxy is due the annihilation of Weakly Interacting Massive Particles. Cosmic WOW: BICEP2 announces evidence for the gravity waves produced by inflation! 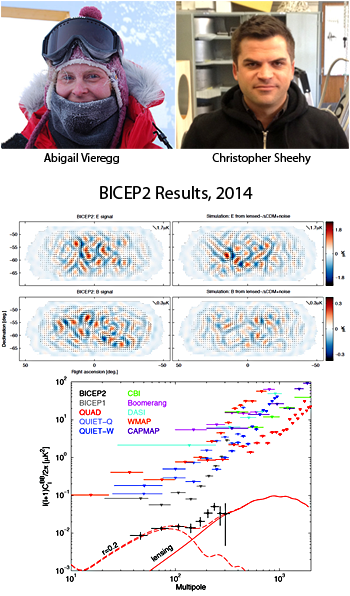 KICP Faculty member Abigail Vieregg and KICP Fellow Christopher Sheehy are part of the BICEP2 Team that today announced evidence for the discovery of the CMB B-mode signature of gravity waves produced during inflation. KICP Director Michael Turner said that if this result holds up, it will be the biggest event in cosmology since the discovery of CMB anisotropy or the accelerated expansion of the Universe. Inflation-produced gravity waves are called the smoking' gun of inflation - and for good reason. Their amplitude reveals the expansion rate during inflation and the scale of inflation (about 10^-38 sec and 10^16 GeV respectively for the BICEP2 detection) and confirms the third key prediction of inflation. The first two predictions of inflation - almost scale-invariant density perturbations and a flat Universe - are almost postdictions, as both had been put forth as features of any sensible cosmological model before inflation was postulated in the early 1980s. Because of the large number of highly sensitive CMB experiments that are taking or analyzing data (including SPT and Planck), the BICEP result will be checked very soon. Read more Michael Turner's comments. "What an amazing discovery. The BICEP2 results are truly fantastic. They provide -- at very high confidence -- evidence for the inflationary origin of our universe, probing physics at the energy scales of grant unified theories and the first instants of the universe. While the signal is tiny -- they measured the polarization of the cosmic microwave background with a sensitivity of 30 millionths of the 3 K background -- it is actually stronger than most cosmologists thought it would be. This means that BICEP2 data along with KECK Array and SPTpol data and upcoming BICEP3 and SPT-3G data all from the same region of the sky, will allow us to not only confirm the BICEP2 results, but also to constrain the inflation model further. it is a fantastic day for cosmology and indeed for all of physics." Congratulations to Prof. Nick Gnedin! 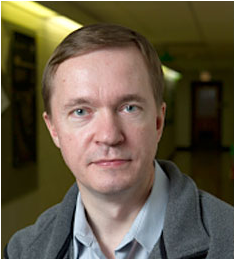 Congratulations to Prof. Nick Gnedin for becoming a Fellow of the American Physical Society! 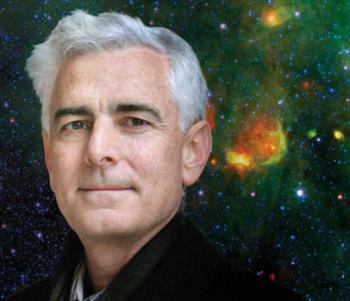 Citation: "For pioneering work in computational cosmology, which has led to a deep understanding of the Lyman alpha forest and reionization of the universe." 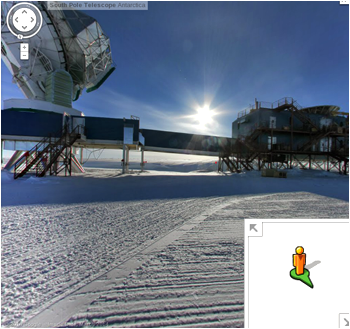 Virtually visit the South Pole Telescope and the Amundsen-Scott South Pole Station, which is operated by the National Science foundation via panoramic in Google Street View format. SPT is supported by NSF-OPP and DOE. Photos taken by Kyle Story. Nine pioneering scientists have been named this year's recipients of the Kavli Prizes - prizes that recognize scientists for their seminal advances in astrophysics, nanoscience and neuroscience. This year's laureates were selected for pioneering the theory of cosmic inflation, for transformative contributions to the field of nano-optics and for the discovery of specialized brain networks for memory and cognition. According to this theory, very soon after our universe came into existence it underwent a short-lived phase of exponential expansion. During this brief period the universe expanded by a huge factor - hence the name inflation. The consequences of this episode were momentous for the evolution of the cosmos.The field of inflation theory now occupies thousands of theorists, and many variations of inflation are being actively debated. The Kavli Prize in Nanoscience is shared between Thomas W. Ebbesen, Universite Louis Pasteur, Universite de Strasbourg, France, Stefan W. Hell, Max Planck Institute for Biophysical Chemistry, Germany, and Sir John B. Pendry, Imperial College London, UK. With their respective work, they have challenged established beliefs about the resolution limits of optical imaging, showing that light can interact with nanostructures smaller than its wavelength. Seeing at the 'nanoscale' was long considered to be limited in visible resolution by the finite wavelength of 'light', so that only objects larger than ~ 200 nanometers could be imaged. This is about 100 times smaller than the diameter of a human hair. Each of this year's prize winners, through their different insights and routes, has independently advanced our ability to 'see' nanostructures using 'ordinary' light. This ability to see and image nanoscale objects is a critical prerequisite to further advances in the broader field of nanoscience. The recipients of the Kavli Prize in Neuroscience have all played major roles in advancing our understanding of memory and in the development of techniques to measure the brain. They have discovered that these functions are produced by specialized systems in the brain, which they analysed through a variety of research approaches. They have found the specific regions of the brain that are involved in memory, and how specialized nerve cells perform different roles. The higher cognitive functions of our brains such as attention, memory, and planning are crucial to create our rich mental lives: memory is essential for humans, from the recognition of where we are, through learning new skills, to being able to recall events. In humans memory can be said to define who we are, and we know that loss of memory can have devastating effects on an individual's personality. Knowing how memory function should work in healthy people could open the door to understanding what has changed in patients with dementia and memory loss. The Kavli Prize is a partnership between The Norwegian Academy of Science and Letters, The Kavli Foundation (USA) and The Norwegian Ministry of Education and Research. The Kavli Prizes were initiated by and named after Fred Kavli (1927 - 2013), founder of The Kavli Foundation which is dedicated to advancing science for the benefit of humanity, promoting public understanding of scientific research, and supporting scientists and their work. Kavli Prize recipients are chosen biennially by three prize committees comprised of distinguished international scientists recommended by the Chinese Academy of Sciences, the French Academy of Sciences, the Max Planck Society, the U.S. National Academy of Sciences and The Royal Society. After making their selection for award recipients, the recommendations of these prize committees are confirmed by The Norwegian Academy of Science and Letters. The 2014 Kavli Prizes will be awarded in Oslo, Norway, on the 9th of September. His Majesty King Harald will present the prizes to the laureates. This year's ceremony will be hosted by Alan Alda and Haddy N'jie. The ceremony is part of Kavli Prize Week - a week of special programs that celebrate extraordinary achievements in science, educate the public on important scientific advances, and bring together distinguished members of the international community to discuss key global issues in science and science policy. For more detailed information on each of the prizes, the 2014 laureates and their work, and Kavli Prize ceremony and other events during the Kavli Prize Week in September. 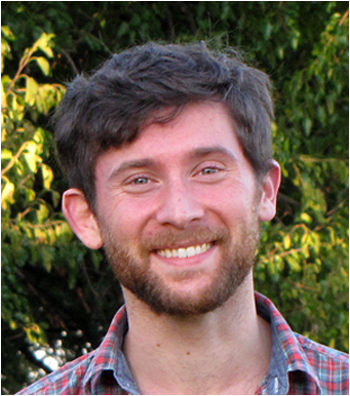 Congratulations to Louis Abramson for winning a Harper Dissertation Fellowship! Please join me in congratulating Louis Abramson for winning a William Rainey Harper Dissertation Fellowship for the 2014-15 academic year. One of the University of Chicago's highest honors, the award recognizes significant achievement during graduate studies and professional promise. Congratulations to Dr. Eric Baxter! Congratulations to Eric Baxter for successfully defending his PhD dissertation on "Measuring Gravitational Lensing of the Cosmic Microwave Background by Galaxy Clusters." At the White House yesterday, President Barack Obama welcomed the four American laureates of the 2014 Kavli Prizes - prizes awarded to scientists who have made seminal advances in the fields of astrophysics, nanoscience, and neuroscience. Joined by White House Office of Science and Technology Policy Associate Director Jo Handelsman, the President congratulated Kavli Prize Laureates Alan H. Guth (Massachusetts Institute of Technology), Andrei D. Linde (Stanford University), John O'Keefe (University College London) and Marcus E. Raichle (Washington University in St. Louis School of Medicine). Accompanying the laureates were Rockell N. Hankin, Chairman of The Kavli Foundation, Robert W. Conn, President and CEO of The Kavli Foundation, Miyoung Chun, Executive Vice President of Science Programs of The Kavli Foundation, and Kare R. Aas, the Norwegian Ambassador to the United States. "This year's Kavli Laureates are working on the frontiers of human knowledge and capability, from the far reaches of deep space to the intricate neural networks of the mind," said John P. Holdren, President Obama's Science Advisor. "Achievements like these will no doubt inspire dreamers across the Nation to ask bold questions and take on the challenge of discovering answers." "We could not be more grateful to President Obama for honoring these laureates, or for the President's strong and continuing commitment to science," said Rockell N. Hankin. "The U.S. laureates exemplify the very best of what science can achieve in this country. Along with being a tremendous honor, this visit provides us a moment to pause and appreciate just how important science is to the nation and all humanity." "It's been The Kavli Foundation's great honor to join with the President in his efforts to advance science in the United States, particularly by playing a catalytic role in the BRAIN Initiative, which is a national initiative to produce a dynamic picture of the brain in action," said Robert W. Conn. "We thank the President for so strongly shining a light on the importance of truly basic scientific research." The 2014 Kavli Prizes laureates were selected for pioneering the theory of cosmic inflation, for transformative contributions to the field of nano-optics and for the discovery of specialized brain networks for memory and cognition. 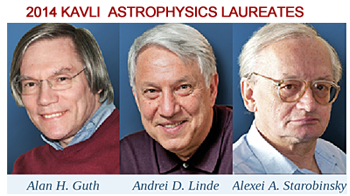 The Kavli Prize in Astrophysics is shared by Alan H. Guth, Andrei D. Linde, and Alexei A. Starobinsky (Landau Institute for Theoretical Physics, Russian Academy of Sciences, Russia). The Kavli Prize in Nanoscience is shared by Thomas W. Ebbesen (Universite Louis Pasteur, Universite de Strasbourg, France), Stefan W. Hell (Max Planck Institute for Biophysical Chemistry, Germany), and Sir John B. Pendry (Imperial College London, UK). The Kavli Prize in Neuroscience is shared by Brenda Milner (Montreal Neurological Institute, McGill University, Canada), John O'Keefe and Marcus E. Raichle. The Kavli Prize is a partnership between The Norwegian Academy of Science and Letters, The Kavli Foundation and The Norwegian Ministry of Education and Research. The Prize was established to recognize outstanding scientific research, honor pioneering scientists, promote public understanding of scientists and their work, and foster international cooperation among scientists. The 2014 Kavli Prize Laureates will receive their medals this fall during a ceremony held in Oslo, Norway. For more information about the laureates and upcoming events, visit www.kavliprize.org. Congratulations to Dr. Nicole Fields! Congratulations to Nicole Fields for successfully defending her PhD dissertation on "CosI: Development of a Low Threshold Detector for the Observation of Coherent Elastic Neutrino-Nucleus Scattering." "Nicole's thesis describes the development of a detector capable of measuring the process of coherent elastic scattering of neutrinos off nuclei. This is the same process expected to mediate dominant interactions from WIMP dark matter candidates. First proposed 40 years ago, it hasn't been experimentally confirmed yet. Nicole's thesis discusses a full feasibility study with a prototype, and the installation of the detector at the SNS source in Oak Ridge National Laboratory". Nicole will be working for the Nuclear Regulatory Commission as a Health Physicist in Lisle, IL. 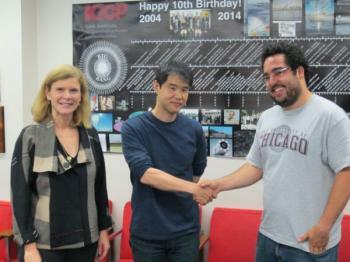 Vinicius Miranda, a KICP graduate student, was awarded the Schramm Fellowship. Miranda was nominated by Prof. Wayne Hu. David N. Schramm (M.A. and S.B. '67, Ph.D. '71) was a professor for Astronomy and Astrophysics, Enrico Fermi Institute and Physics and was designated the Louis Block Professor of the Physical Sciences in 1982; as well as Vice President for Research in 1995. Prof. Craig Hogan, member of the High-Z Supernova Search Team was awarded the 2015 Breakthrough Prize in Fundamental Physics! The Breakthrough Prize in Fundamental Physics recognizes major insights into the deepest questions of the Universe. Citation: For the most unexpected discovery that the expansion of the universe is accelerating, rather than slowing as had been long assumed. The 2015 Breakthrough Prize in Fundamental Physics is a shared honor with Saul Perlmutter, Brian P. Schmidt, and Adam Riess leading a collaboration of 51 total prize recipients splitting the $3 million. Congratulations to Dr. Alan Zablocki! Congratulations to Alan Zablocki for successfully defending his PhD dissertation on "Constraining Neutrinos and Dark Energy with the Angular Clustering of Galaxies in the Dark Energy Survey." "Over the last decade, cosmological observations have placed increasingly stringent upper bounds on the masses of neutrinos, while observations of neutrino oscillations imply a lower bound. Alan's thesis provides a detailed forecast of the constraints that the Dark Energy Survey (DES) will be able to place on neutrino mass in the next few years, accounting for uncertainties in dark energy and in the relative amplitude of galaxy clustering. He finds that DES has a good chance of shedding light on the pattern of neutrino masses (the mass hierarchy), an exciting possibility. His results will be of broad interest to cosmologists."